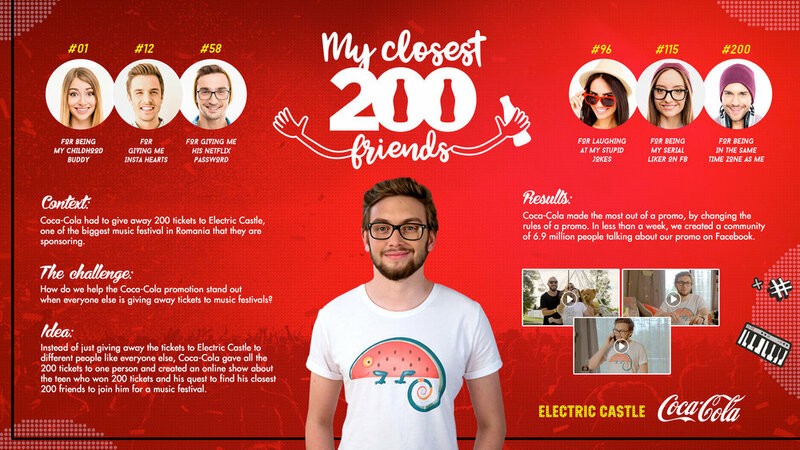 Coca Cola had to give away 200 tickets to Electric Castle, one of the biggest music festivals in Romania. In order to stand out among all other promotions, Coca Cola gave all the 200 tickets to one person. Then we launched an online show about the guy that won 200 tickets and his quest to find 200 close friends to join him at the festival.